The physical presence of our partner, here and now, is an invitation that can either be accepted or refused, but is hard to postpone. Love is to demand improvement from each other. Let’s do what we consider to be the best, in every moment, and do it in the most efficient way. Let’s free ourselves from the actitudes which enclosed our bodies in a shell of prejudice, conformity and cowardice, a shell which made our body redundant. Own it, care for it, use it, dance with it. If we are not our body, it is at least a part of our world which remains present to us at all times. Contemplate the continuity with ourselves, our body and the world with the other people in it. Let’s be inspired to be productive, selecting creativity rather than inertia or anger. Words are an indispensable tool to determine our relationships to objects, both in the case of our interactions with things and in the interactions between people in relation to things (for instance: our belongings). However, regarding interpersonal relationships, the objective word may be useless. Challenge, creativity and embrace make most words superfluous. Dance is a manifestation of our essential freedom of being, making existence beautiful. 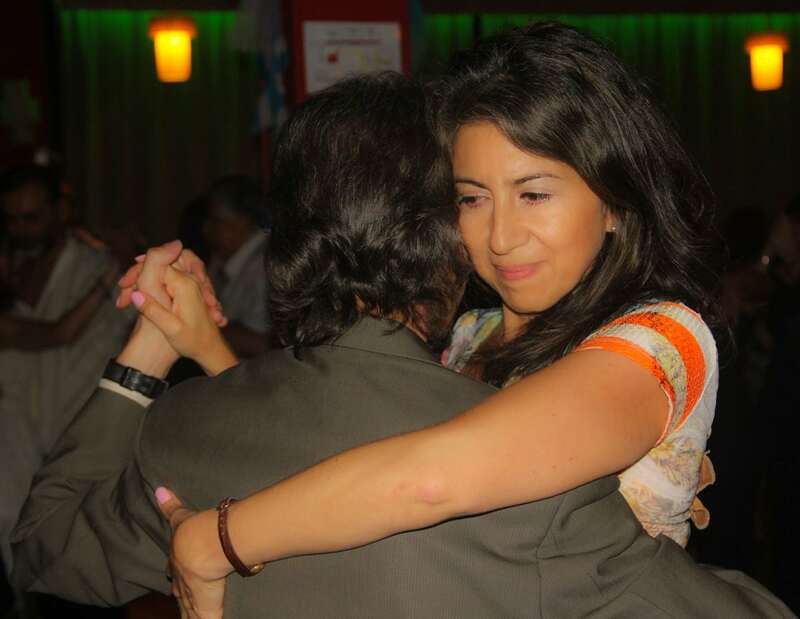 Learn about Argentine Tango: Travel to Buenos Aires!!! Written by Marcelo Solis. 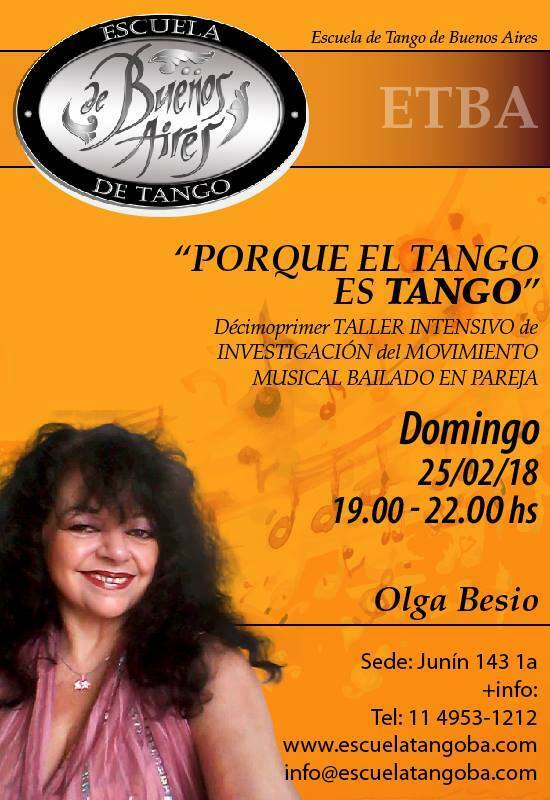 Posted in Argentine Tango News, Articles about Argentine Tango. Monday April 2, 2018 in San Jose. Wednesday April 4, 2018 in San Francisco. Friday April 6, 2018 in Lafayette. Registration closes 24 hours prior to the beginning of the series. • San Francisco: Next series starting on May 30, 2018 and every consecutive Wednesday at 7 pm beginners and 8 pm intermediates(No class on July 4). • Lafayette: Next series starting on June 1, 2018 and every consecutive Friday at 8 pm beginners and 9 pm intermediates. • San Jose: Next series starting on June 4, 2018 and every consecutive Monday at 7 pm beginners and 8 pm intermediates. • Lafayette: Next series starting on July 27, 2018 and every consecutive Friday at 8 pm beginners and 9 pm intermediates. • San Jose: Next series starting on July 30, 2018 and every consecutive Monday at 7 pm beginners and 8 pm intermediates (No class on Labor Day September 3). • San Francisco: Next series starting on August 1, 2018 and every consecutive Wednesday at 7 pm beginners and 8 pm intermediates. DÉCIMOPRIMER TALLER INTENSIVO DE INVESTIGACIÓN DEL MOVIMIENTO MUSICAL BAILADO EN.PAREJA !!!! He bears the title of Father of Tango, a somewhat exaggerated qualification because there were many circumstances which originated our music. But his influence was so important in the beginnings and its development which made him deserve this designation. He is the great transformer of the Spanish tanguillos, the cuplés, the habaneras, turning those musics into a River Plate rhythm. A natural artist, he avoided no activity which enabled him to earn some money for a living. It is said that he was a typographer, circus clown and any other job he was required for. He was also a cuarteador (a person taking care of an extra horse or joke of oxen for dragging uphill) in the neighborhoods far from downtown. He was a horserider who used to wait for the arrival of a big coach or a streetcar at the bottom of slopes to help them get out of the mud or to go uphill. This meant to fasten the vehicle with a rope tied to his horse and help it in the effort. With a facility for writing, he devised stanzas for carnival costumed groups and numerous poems and prose writings for well-known magazines of the time: Caras y caretas, Fray Mocho and P.B.T. All through his work is present the wit sarcasm, and his dialogues were thought for the common man’s tongue and were always referred to real situations in the leasehold houses, the neighborhood and, many times, to love affairs which portrayed the way of speaking and behavior of the lowest social level of our society. His wit, his facility in speaking, helped him to mix up with payadores and to put forward performances of scarse formality and, sometimes, completely shameless. Always accompanying himself on guitar, with a harmonica added, he succeeded in telling stories by singing, which encouraged the audiences at the low cafés and joints. Continue reading.